Varied and unspoilt scenery is the Isle of Wight’s greatest natural asset with over half of it designated as Heritage coast. Artists, Writers and scientist such as Tennyson, Keats, Priestley and Darwin have been drawn to the Isle of Wight for its clarity of air and its enchanting landscapes. 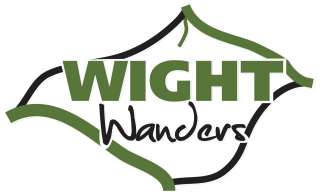 The full Isle of Wight Coastal Path is about 70 miles in length, is a delight to walk for seasoned walkers and novices alike. You will experience captivating scenery ; from small bustling towns, to quiet estuaries, sweeping cliffs, shadowy woodland dells and thriving yachting ports and can be walked comfortably in a week or as little as four days if you are looking for a challenge. As you explore the Isle of Wight Coastal Path an abundance of wildlife and historic sites will keep you enthralled as you walk between the charming coastal villages of the Isle of Wight. Your luggage is moved for you each day while you walk. Prices include accommodation.